avast! Free Antivirus for Mac was pitted against 35 other antivirus products designed for Mac OS, including plenty of pricey solutions, and came out in first place for detection of malware. Compared to Windows, Mac users have been relatively free from malware attacks. But cybercrooks are just as aware as antivirus vendors of the behavior of users and their false sense of security and their habit of browsing the internet without security software. You only have to read this blog to learn that cybercrooks are adapting Windows malware for use on their Mac counterparts. Over 300 malware samples and 35 applications were used to measure the effectiveness of products built specifically for Mac in a recent SecuritySpread.com test. Multiple machines running different operating systems were used to ensure the reliability of the test, and for real-world results, Macs that are used every day for a range of tasks from web development, media center, movie editing to gaming were included. avast! 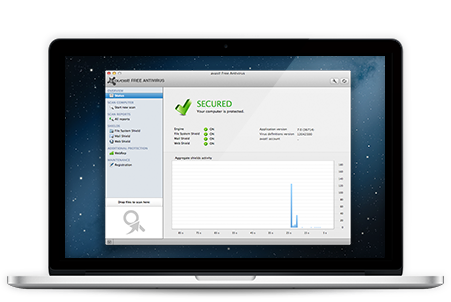 Free Antivirus for Mac had the highest detection rate among them all. The results can be found here. The Security Spread test was done with avast! Free Antivirus for Mac 7, but in preparation for the official public release of Mac OS X 10.9, aka Mavericks, avast! Free Antivirus 8.0 has been released. The changes are mostly under the hood, and it requires version 10.6.8 or newer. Download it here.